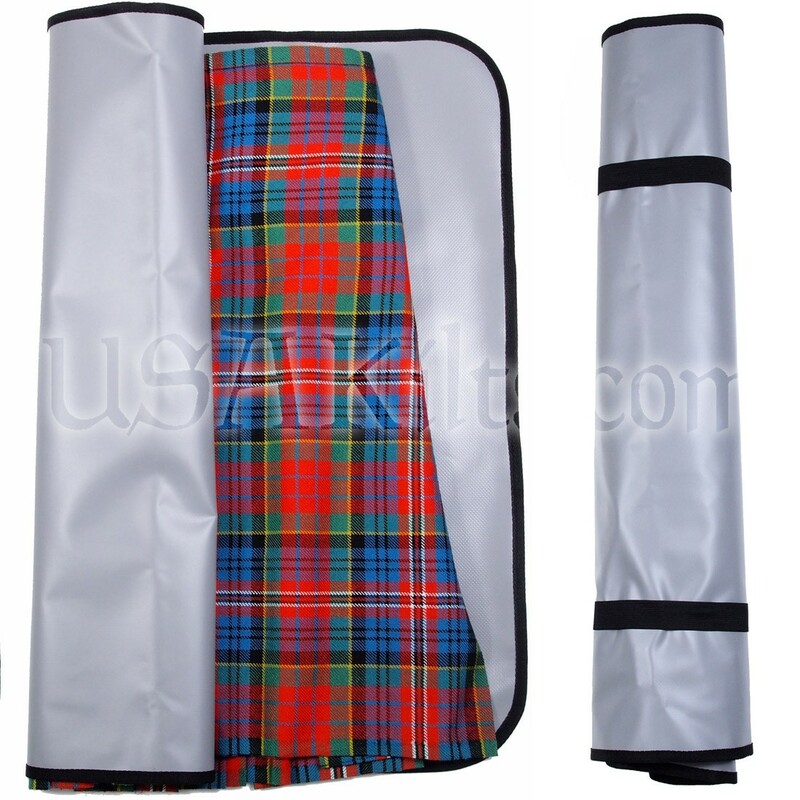 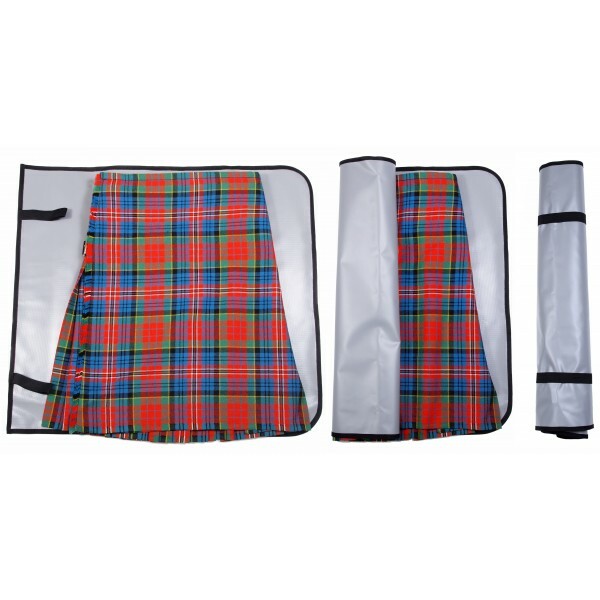 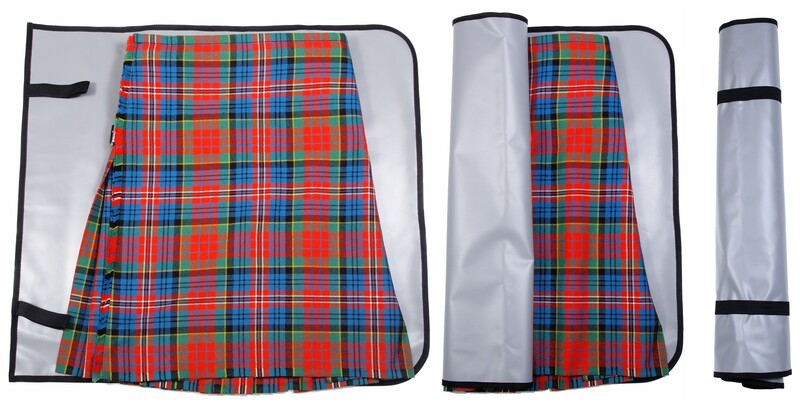 Our kilt roll is great for storing your kilt or bringing it with you (virtually wrinkle free) on trips. 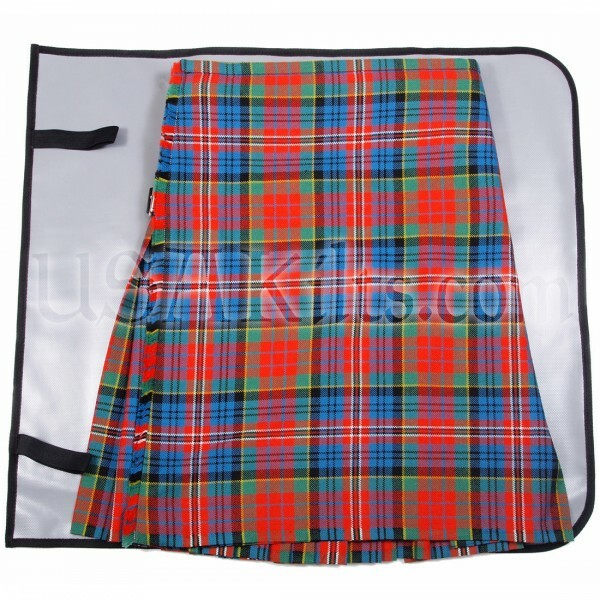 It comes with a mat and a nylon carry case. 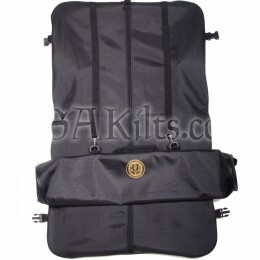 The carry case is shaped like a tube, zips on one end and features both a carry handle as well as a shoulder strap. To use, simply lat the mat flat and fold your kilt into thirds (as if you were putting it on) as seen in the photo. 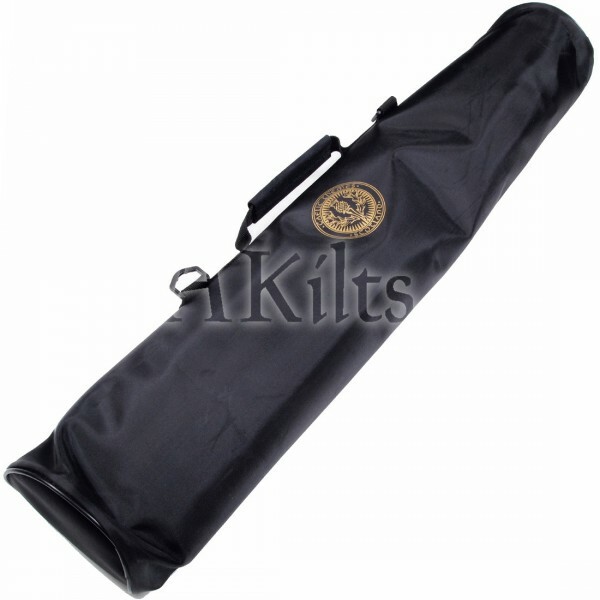 Starting with the rigid end of the mat, start rolling until your entire kilt is safely rolled inside the mat. Take the rolled mat and slide it into the tube for a handy travel case which will keep your kilt wrinkle free!